A big milestone in California as it relates to renewable energy and peak demand percentage; a new, conservative clean energy organization in Indiana; isolated Maine communities considering microgrid technologies; and how a Politico Magazine writer is coming to understand the green economy and its contours. Mild temperatures and sunny skies helped California set two new solar records in recent days. On Sunday, March 4, the California Independent System Operator saw an all-time peak percentage of demand served by solar, hitting a record 49.95 percent at 12:58 p.m. That’s up from the previous peak of 47.2 percent set on May 14, 2017. “The record is a result of a cool, sunny day,” Anne Gonzales, senior public information officer at CAISO, wrote in an email. A day later, on March 5, CAISO set another solar record, this time hitting a new peak for solar production of 10,411 megawatts at 10:18 a.m. The previous record was 9,913 megawatts set on June 17, 2017. Indiana conservatives are launching a new organization that will focus on advocating for an “all of the above” energy policy that includes support for clean and renewable energy like wind and solar. The Indiana Conservative Alliance for Energy (ICAE) is comprised of conservative leaders across the state who are prepared to help Indiana lead on new and clean energy development to reach a next level economy, create jobs and improve the quality of life for all Hoosiers. Another week and another nor’easter is bearing down on Maine, prompting thousands of families to restock essential supplies, get out the snow shovels and monitor the forecast. In an era of climate change, weather forecasts often call for more intense storms. Those can translate to high winds — and if the winds are accompanied by freezing rain, the combination can equate to prolonged power outages. New advances in solar electric panels and price drops for off-the-grid energy systems are prompting more Mainers to consider cutting the cord to the local power company in favor of a more independent lifestyle. Solar advocates expect it’ll only get worse if a proposed merger involving one of the state’s largest energy companies goes through. Virginia-based Dominion Energy wants to buy South Carolina’s Scana Corp. for $14.6 billion. Scana is the parent company of South Carolina Electric & Gas Company (SCE&G), which serves 700,000 electric customers in the state. 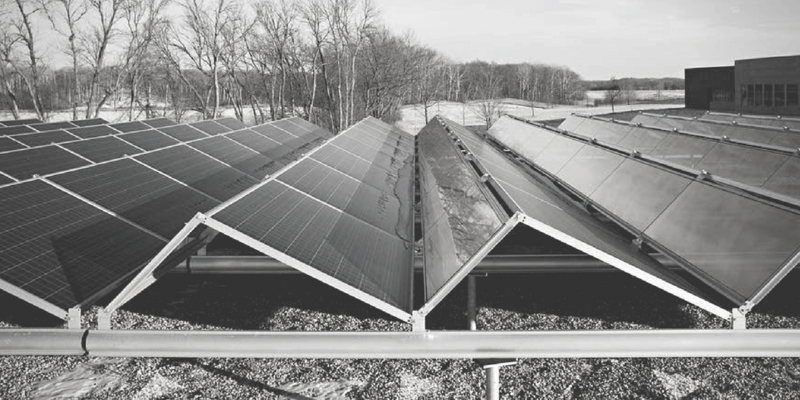 Dominion’s political clout has long loomed in Virginia, where the company has generally opposed net metering and other policies that encourage customer-owned, distributed generation such as rooftop solar. The company is also a backer of the Atlantic Coast Pipeline, and its commitment to natural gas could crowd out the need for new solar. Chris Nelder, electricity manager for the Rocky Mountain Institute, says they’re just too expensive for private firms to install when drivers mostly charge at home. The obvious solution would be for utilities that already sell power to install them, but most state regulators have refused to let utilities charge their ratepayers for the hefty installation costs. Delaware Electric Cooperative is launching an electric vehicle charger pilot program. The cooperative is looking for members with electric vehicles to participate in this program. Qualified members will receive a freeChargePoint Home electric car charger, valued at $700. The charger is the smallest and most advanced charging station on the market. Despite being in place for 35 years, Idaho Power is looking to change this practice, and solar advocates and some locals are not happy. Multiple Southeast Idaho residents provided testimony on Monday to state utility regulators opposing Idaho Power’s attempt to change the practice. Testimony was received by the Idaho Public Utilities Commission (PUC) in front of a standing-room only crowd at Pocatello City Hall. The commission delayed Idaho Power’s request in October to allow time for public comment. 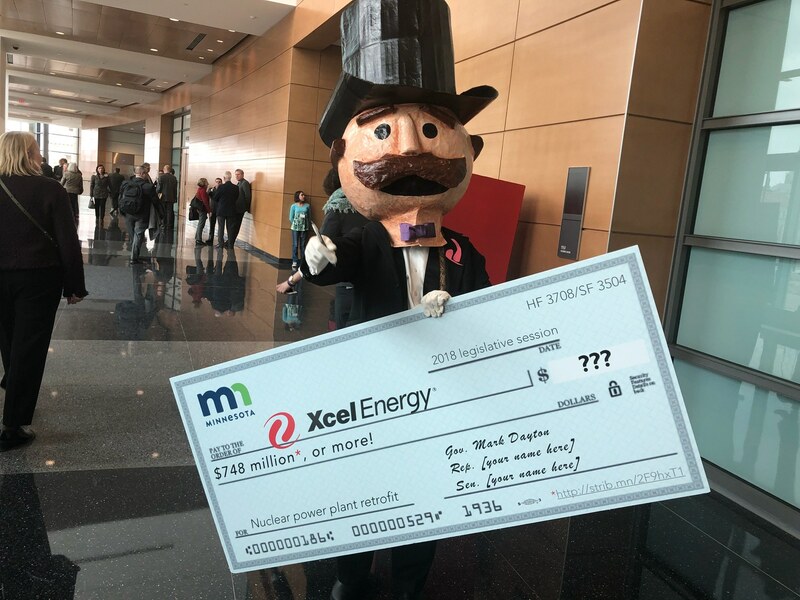 A major question is whether, under the state’s current net metering law, the vast majority of ratepayers are subsidizing the cost of maintaining the regional grid for the relatively few customers with solar energy systems who are connected to it. Lawmakers have proposed a variety of amendments to the bill to address the question, including a net metering fee to ensure that solar system owners are paying a fair share of the utility’s fixed costs for the regional system of poles and wires. Environmentalists are pushing for Massachusetts to transition to 100 percent renewable energy by 2050. They said the move will reduce air pollution, create jobs and improve public health. The United States is one of the world’s largest emitters of carbon dioxide; these emissions are caused by using fuels like natural gas, oil and coal. Environmentalists are urging lawmakers to take action to reduce the state’s impact on the environment by passing a bill that would move Massachusetts to 100 percent renewable energy by 2050. Globally renowned as a terminus of health, Rochester’s focus on medical wellness clashes with its consumption of fossil fuels for energy, which pollutes the environment and endangers public health. Luckily, Rochester took a leap toward the growing renewable energy trend that values our health and environment. On October 12, 2015, Mayor Ardell Brede catapulted Rochester into action when he signed a proclamation that commits the city to 100-percent renewable energy by 2031. Local stakeholders took notice. “Elected officials, city, and utility staff have … given the goal serious consideration,” said Rick Morris, an organizing representative for the Sierra Club, a grassroots environmental organization. A public interest group released a report Thursday warning that municipalities need to prepare for the coming electric vehicle revolution or risk losing out on the benefits of cleaner transportation. 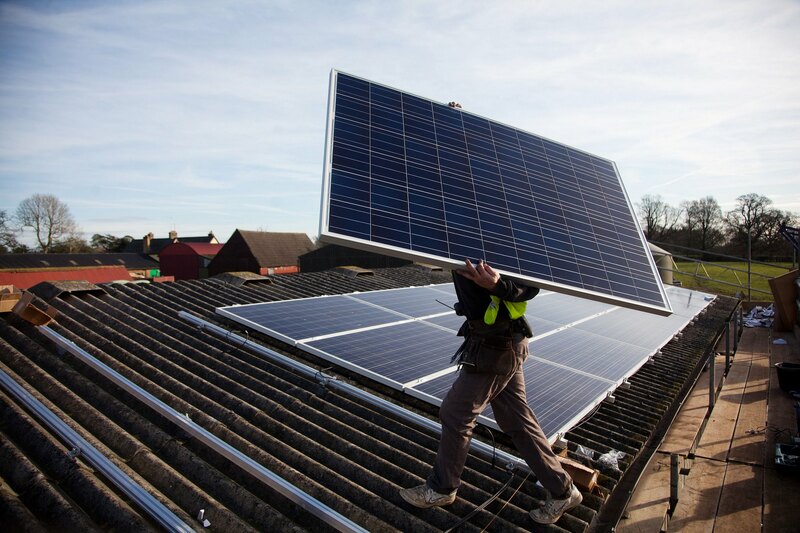 The voluntary pledges allow utilities to set the terms and timeline for their investments in renewable energy. They often draw positive headlines, and ultimately they don’t conflict with the companies’ bottom lines as the cost of renewables continues to fall. Critics, though, say that most utility pledges lack urgency and allow them to continue burning fossil fuels for decades. They also have potential to obscure the need for extending state renewable energy standards. A trio of proposed renewable energy ballot initiatives has caught the eye of the energy sector. Confined to two Western and one Midwestern states, these ballots are backed by climate activist and billionaire Tom Steyer, through his super PAC NextGen America. The initiatives aim to increase existing mandates for renewable energy; in some cases, this requires amending the state’s constitution. For now, the initiatives must gather the requisite number of signatures, before appearing on the ballots. But their introduction has sparked discussion over whether or not RPSs are still necessary to drive the renewable energy market forward in states now that costs for wind and solar have dropped. The push for RPS initiatives comes during the highly anticipated 2018 election, two years after President Donald Trump stunned the United States by winning the nation’s highest public office. His public disdain for renewable energy and support for fossil fuels is at odds with the growing popularity and investment in wind and solar as well as increasing public awareness of climate change impacts. Open markets drive competition. Competition drives innovation and affordability. Case in point: Today, more and more consumers are utilizing innovative battery solutions — with many powered by rooftop solar — to provide clean energy to homes and businesses. In the coming weeks, regulators will consider proposals by utilities in Massachusetts and New Hampshire that seek to fully control customer-owned batteries, or seek to reach into peoples’ homes and actually own batteries. There is no reason for regulators to allow utility control or ownership of generation and storage resources that can be supplied competitively. With no natural monopoly to regulate or market failure to fix, enabling utility ownership and control will serve only to stifle innovation and impede competitive solutions. We urge regulators to consider a better future. Driving an electric vehicle (EV) has obvious climate benefits: zero tailpipe emissions. But because EVs are charged by power grids that burn fossil fuels, they aren’t necessarily zero-carbon. An EV’s carbon footprint depends on whether its power comes from renewables or fossil, and quantifying exactly how clean EVs are compared to gasoline-powered vehicles has been tough – until now. New data shows that in every corner of the United States, driving an EV produces significantly fewer greenhouse gas emissions than cars powered only by gasoline, regardless of the local power mix. Today, an average EV on the road in the U.S. has the same greenhouse-gas emissions as a car getting 80 miles per gallon (MPG). That’s up from 73 MPG in 2017, and far greater than the average gas-powered car available for sale in the U.S., which hit a record 24.7 MPG in 2016.